Went to Malabar today to help resident with removing a load of unwanted, old and broken general household items. Unfortunately they were away for the scheduled Council Cleanup. At AAA Mr Rubbish Removal were able to offer them a reasonable quote in which they were happy with and removed all the rubbish for them immediately. Residents were happy which makes us here at AAA Mr Rubbish Removal Happy too. Malabar is a suburb in south-eastern Sydney and 12 kilometres south-east of the Sydney CBD. It was named after a ship called the MV Malabar, a Burns Philp Company passenger and cargo steamer that was shipwrecked in thick fog on rocks at Miranda Point on the northern headland of Long Bay 2 April 1931. Prior to the wreck, the suburb was known as either Brand or Long Bay. Long Bay is reputed to have been the local Indigenous community's principal camping/healing place between Sydney and Botany Bay. Malabar Headland is the site of a number of Aboriginal engravings. AAA Mr. Rubbish Removal we provide homes and businesses with reliable same-day service, and we’re happy to haul away any amount of clutter, no matter how much or how little. Whatever it is you need taken off your hands; we’ll bring you the most courteous, efficient rubbish removal. AAA Mr. Rubbish Removal provides fast and easy rubbish removal to Malabar residents, from initial booking to final disposal. Choosing us for rubbish removal in Malabar means you’ll be relieved of absolutely any item you don’t want. We remove furniture, appliances, electronics, yard waste and debris, tyres, and whatever else you want to get rid of. When it’s time to dispose of your things, we take all possible items to a recycling facility or donate them to a charity in the area. 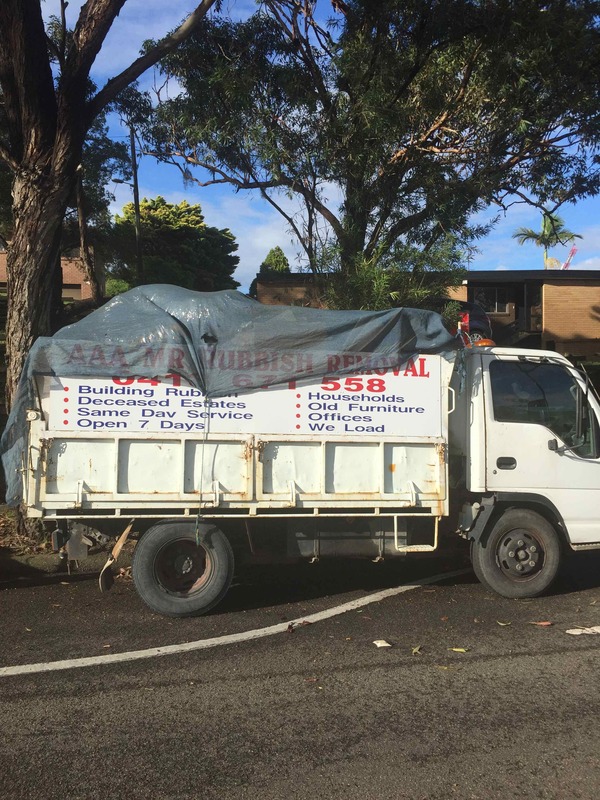 AAA Mr. Rubbish Removal strives to bring socially and environmentally responsible rubbish removal to Malabar with every job we do.